One of my memories from Christmas as a child was watching movies. There seemed to be an endless stream of Christmas movies and programmes on and getting the Christmas TV Guide was a big deal in our house. We would sit and peruse for hours, trying to choose what to watch. Agonising over decisions when two things were on at the same time. Which would we watch? There was no internet, no Sky boxes, it was one TV that was moved to the “good lounge” over Christmas so we all had to agree what we were going to watch. I guess my kids will never experience some of that joy. If they want to know what is on they just click on the Guide button on the remote control or ask me to check it up on Google. That said there is still something magical about sitting down to watch a Christmas themed movie, with the Christmas lights twinkling on the tree and the winds howling outside. 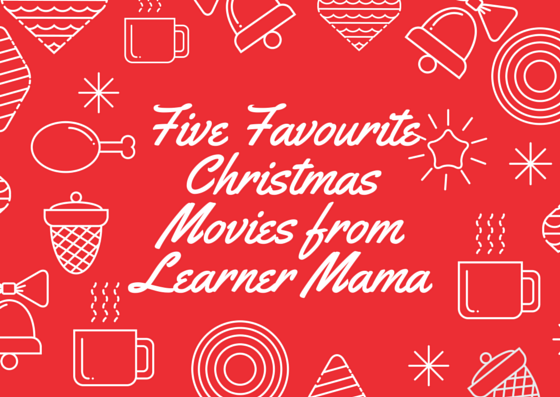 Here are five of my favourite Christmas movies for kids. We arrived home from a day out a few weeks ago and switched on the TV to find The Polar Express just starting. I’m not sure I’ve seen the whole movie from start to finish in one sitting but I’ve definitely seen it all. The Christmas switch turned on when I saw the movie last month. No doubt it will be on again but it really does define Christmas. If I’m completely honest there are times the animation slightly un-nerves me but it has to be on the list of favourite movies for kids this Christmas. Hard to believe this movie is 20 years old this year. It is fast becoming a staple Christmas movie in our house. The movie sees Scott Calvin (Tim Allen) inadvertently accept the role and responsibilities of the job of Santa Clause. He is given 11 months to get himself sorted out and report for duty. He sees his weight rise, his hair go grey and he gets his very own Santa suit. It’s a sweet, feel good movie. There were two sequels but I’d say best stick to the original. My oldest has declared this her (current) favourite movie. To be fair it is a classic. Family go on holidays and forget a child. Stuff of nightmares for parents but stuff of adventures for kids who think this would be really cool. This is a perennial favourite and it came on TV the other day and my three kids were glued. I think there were a few nerves as he battled the “bad men” but also a lot of laughs. They seem to love the sequel too. I’m pretty sure they will grow up with memories of Home Alone at Christmas each year. Speaking of growing up with memories of watching a particular movie, Willy Wonka and the chocolate factory was a massive favourite in my house as a child. It was almost symbolic of Christmas when this movie came on our screens. I loved it. Having seen the newer version with Johnny Depp I can safely say that as a child of the 80’s I will be sticking to the original which holds a very special Christmas place in my heart. Arthur Christmas is a newer kid on the block in terms of kids’ Christmas movies (released only three years ago) but it is a sweet, feel-good, animated family Christmas movie which sees a Christmas crisis unfold when a present falls off a conveyor belt and goes undelivered. It is up to Santa’s son Arthur to ensure the one undelivered present makes it to it’s destination before morning. Full of adventures and of course, eventual happy endings. What will you and your family be watching this Christmas? Great list, I remember Willy Wonka and the Chocolate factory as a Christmas must watch! I haven’t seen Arthur Christmas yet so much check it out! Willy Wonka really was a must watch wasn’t it! Do check Arthur out. We picked it up randomly on DVD ladt year. Kids enjoy it. Oh I love film lists – always looking for recommendations! We haven’t watched Polar Express yet but it’s on the list for this year so I’m glad to hear you like it. The Polar Express is great! No doubt it will be on TV any day now. I love ‘The Polar Express’ but can’t imagine Christmas without ‘The Muppet Christmas Carol’. My gang are older now so we watch series of movies. This year we’ll be watching the ‘Harry Potter’ series. Thank you for sharing movie.